The changes that occur in the teaching syllabus makes it very difficult for the students to study with the same level of enthusiasm that they had. They find it really difficult to cope with the challenges that come up with a new teaching syllabus. When Malaysian students travel overseas, they find it extremely tiresome to develop their basic level of understanding about the subjects that their fellows are already great at. This frustrates them to a point that they do not feel like continuing their education overseas. So, if Malaysian education system focuses more on consistency then it will become the best country where people from different countries will come to get themselves educated. Since Malaysian education system is too academic focused. It does not include subjects that lead their students stand out from the rest of the students. It does not encourage students to study practical subjects, and subjects like Civics and Citizenship, Moral Education, and Health Education are not the kind of the subjects that would set apart the Malaysian students from the other students. 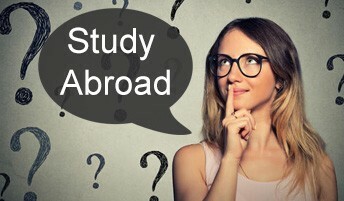 Therefore, Malaysian students have to face a great difficulty in acquiring knowledge of practical subjects overseas as they do not know the basics of it. In Malaysia, there are many cultures including Malay, Indian, Chinese and Eurasian culture along with cultures of other group. There is a strong social distinction in the national culture between two ethnic groups: Malay and non-Malay. The effect of culture is so prominent even in Malaysian cuisines that they also narrate a tale of diversity in culture by including Chinese, Thai, Indian, Sumatran and Javanese cuisines under one banner. Malaysian art is centred on the crafts of weaving, carving and silversmithing. They speak languages like Chinese, Dusunic, Iban and Kadazan. So with all such cultural variation, when they step into a new country, they find it really different to adjust into a new culture. Mood changes; depression, mood swings, anger, irritability. In Malaysian, there is a less focus on speaking English which is a global language. Malaysian students speak different languages but not English so well that they would be able to stand out from the rest of the other students. It creates a communication gap between them and other students overseas which leads them to rethink their decision of coming overseas. Malay is the national language of Malaysia. Malaysian students are fluent in their native language. They prefer talking to others in their native language because they are more comfortable talking to others in this language so when they go abroad, they try the same trick. They try to talk to others in Malay and since other students are not aware of it, they do not communicate much with Malaysian students. This frustrates Malaysian students, and they try to remain aloof. Malaysia is one of the hottest countries of the world. In Malaysia, temperature rises above 30 degree (86 F) year round while during night, it drops below 20 degree (68 F). People wear loose-fitting, lightweight clothes here at any time of the year. Malaysian people are habitual of living in such a hot atmosphere so when they go abroad to study, they find it very difficult to survive in a cold weather. From wearing loose-fitting dresses, they have to wear to sweaters or overcoats overseas. From staying up late at night in a comfortable environment and humid atmosphere, they have to cover themselves up with a blanket. These transitions are so new to them that it takes them time to understand them. Another issue that Malaysian students have to face is that they have to keep a check on finances. It is very difficult for them to manage finances in a new country. They do not know anyone there so they cannot take help from any one. They cannot even share their problems with others. Since none knows them, so they have to struggle a lot to find jobs.